Chuck Marunde, J.D., Broker, Attorney (Ret. ), Serving Sequim for 24 years. Sequim is a beautiful place to retire with only 16 inches of rain annually, 1/3rd of Seattle. 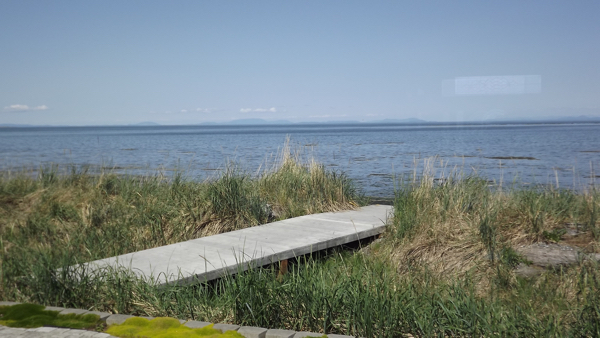 Finding your ideal Sequim home is not necessarily going to be easy. You could get lucky, like a couple who hired me to be their buyer’s agent. They bought the first home I showed them in Sequim. That’s unusual, but it was exactly what they had been hoping to find, and the price was really reasonable. So they pulled the trigger. They are very happy Sequim residents now. But for most buyers, the process is more involved and takes months. It starts with searching the Sequim MLS online months before coming to Sequim or Port Angeles. While some buyers search sites like Zillow and Trulia, eventually most realize those sites are full of listings that are not for sale or that have lots of incorrect information. Getting bad information on properties is the last thing you need when you are searching for your retirement home. So most end up using Sequim-Homes.com, simply because it is a dedicated Sequim MLS site (and Port Angeles MLS site) that is 100% accurate by getting all it’s source data from local Realtor’s listings. Most buyers watch the videos on Sequim-Homes.com so they can learn to get the most out of their home search. They learn to save their search parameters, and then they start saving a favorites list of homes, so when they come to Sequim or Port Angeles, they will have a short list of homes to look at with their buyer’s agent. Learning to use an online MLS site takes time, but it can be a welcome challenge, because the goal is to find your perfect retirement home, and that’s a worthy goal. In the months before they arrive in Sequim or Port Angeles, they email and talk on the phone with their buyer’s agent. I can write about this entire process, because I am the buyer’s agent in these cases. I work with over 100 prospective home buyers every year, and I’ve designed and programmed this MLS site to be convenient and powerful for buyers. It will take time and many trial and error searches on Sequim-Homes.com, but you will find your ideal home, even if it takes a little time. There are some great links already set up for you on this site, and you might get lucky and find your perfect home right away. If you want some guidance or help along the way to finding your Sequim home, email chuckmarunde@gmail.com anytime. What is the Range of Experience of Real Estate Agents? iRealty Virtual Brokers reaches out to buyers around the United States with thousands of online articles, MLS sites, apps, real estate books, videos, and much more specifically to help buyers find all the answers to their questions. Call or email one of our Agents for the kind of professional help you want and expect from your Sequim Real Estate Agent. Call Chuck Marunde at 360-775-5424.